One reader port copies up to 7 USB thumb drives at a time. 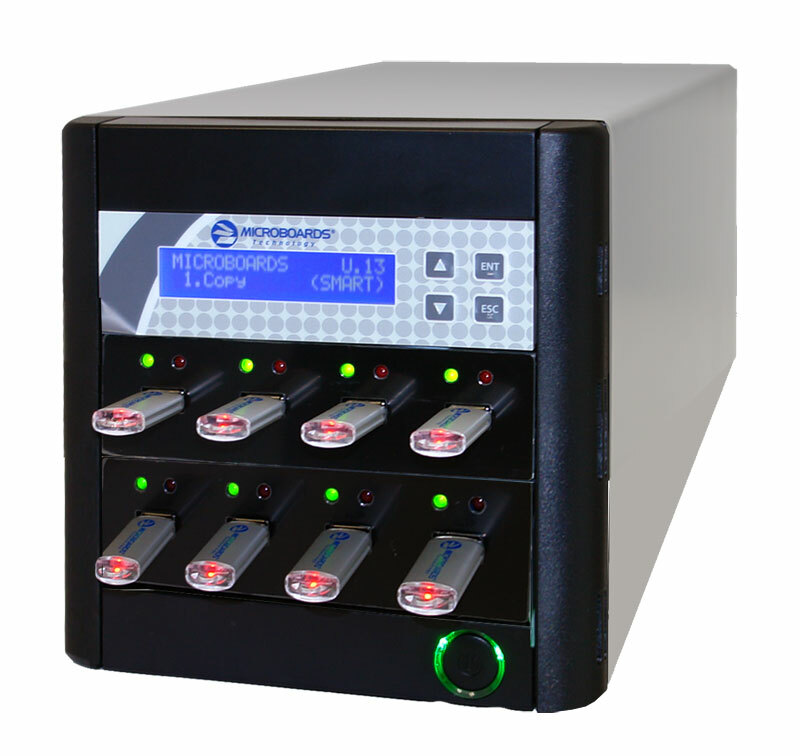 Copy up to 7 USB thumb drives in a single system. Slots operate independently. All current formats (Fat 16, Fat 32) are supported, and the unit is backed by Microboards_ support with a one-year warranty and lifetime phone support.CopyWriter Flash Duplicators can also be used to erase content from flash devices.